Tuesday 4th December. After this date, your option cannot be guaranteed. 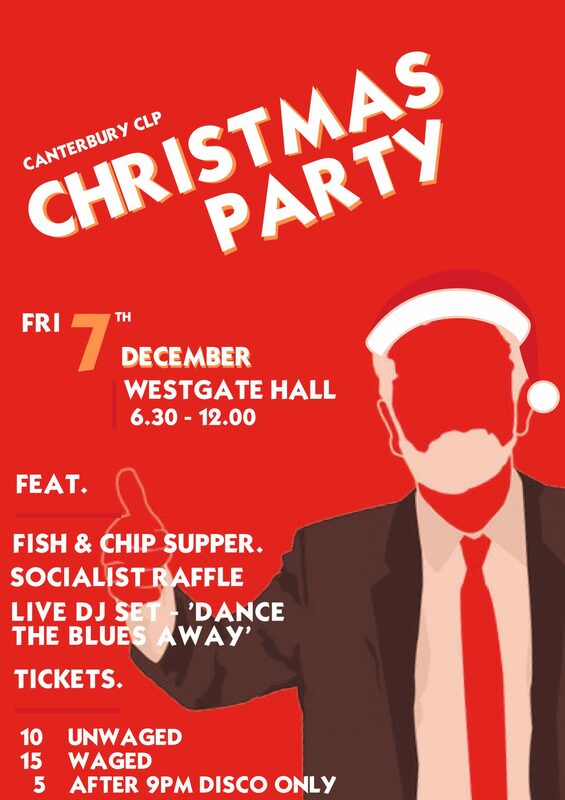 If you have any raffle donations and other prizes please do contact fundraising@canterburylabour.org.uk. And don’t forget you don’t have to be a Labour Party member to come, so do bring a friend.